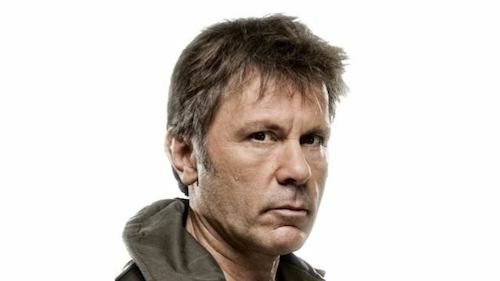 ron Maiden frontman Bruce Dickinson says if Iron Maiden were ever inducted into the Rock And Roll Hall Of Fame, he’d refuse the invitation. Asked by The Jerusalem Post about those comments and if he thought the band had been overlooked by the Rock And Roll Hall Of Fame, Dickinson replies, “I was so annoyed with that coverage because they took my statement out of context to make it seem like I was upset that we weren’t in the hall of fame. The vocalist and pilot was also asked what he would pick if he had to choose between flying and singing. Last week, Maiden announced they would bring The Legacy Of The Beast tour to the US, Canada and South America throughout 2019. Tickets for the shows are now available. Is it because it’s in Cleveland and not London? And by the way, because lower deck tickets in Minneapolis are $150, that includes fees, I can’t go. First you poop on the RnR HoF, then you poop on the fans. I think what he is really pooping on, is the idea that once Rock is “memorialized” somewhere, anywhere, it becomes a defunct entity. Also, while I don’t know Mr. Dickinson personally, I don’t think the location of the Rock Hall has anything to do with his disdain for the institution. It could probably be located right next to his house in England, and I think his stance would be the same. Just my two cents. No offense, but “not pricing tickets so Donald Pudas can see them in the lower level” is not exactly “pooping on the fans”. Iron Maiden is one of the better bands for being fan friendly, and at this stage of their career they are truly at the top of their game. I get what Bruce is saying, and respect his opinion. But I sure hope that, eventually, Iron Maiden do get into the RRHOF. They deserve the honor! I mean, how many other NWOBHM bands can still sell out stadiums all over the world? I can’t think of any! Yes, I agree, but Judas Priest should be inducted, first. You are absolutely right, Dana! Judas Priest definitely deserves to get in first! Very few bands influenced Heavy Metal, especially NWOBHM bands, than the mighty Priest did!